One of our readers expresses the dilemma faced by conscientious speakers and writers who value a standard form of English, but recognize that rapid changes are taking place. “Prescriptivist” is a dirty word, yet unadulterated descriptivism is not only impractical, it is impossible. Even the dictionaries that operate from a descriptivist perspective cannot possibly record every usage from every community of speakers. So, as the reader asks, where do we draw the line? In this age of militant anti-authoritarianism, evangelical multi-culturalism, and pedagogical malpractice, it’s not an easy question to answer. Language is an intensely personal matter. When it comes to usage and pronunciation, each user of the language has to decide where the line is to be drawn. Advocates of standard English tend to feel blood pressure rising when they see or hear non-standard usage in what is felt to be an inappropriate context. In the interest of keeping blood pressures down, I offer these guidelines for people who are “tearing their hair” over non-standard usage. Numerous forms of British and American English are spoken in different parts of the world. Different forms are “standard” in different places. The point of having a standard written dialect is not to fossilize the language, but to permit change to take place at a slower pace. Don’t object blindly to new usage merely because it’s new. Have valid reasons for your objections. Provide yourself with a good dictionary. Browse the style manuals and choose one or two that you find easy to use. Don’t hesitate to disagree with them if you have solid reasons for doing so. Cherish your own dialect and use it with those who can appreciate it. Use a standard dialect when you want to be understood by speakers not familiar with your home dialect. In writing, consider your targeted audience and choose the most appropriate language for that audience. If you’re a script writer, consider the occupations and backgrounds of the various characters in your story. Don’t have them all talk the same. For example, don’t have the characters with college degrees say things like Me and Professor Jones have created an algorithm, or, To celebrate my new tenure, I’ve made reservations for Sally and I at the French restaurant. Correct your children’s grammar. Talk to them about word choice. If you’re a teacher (any subject, not just English), model standard English to your students. 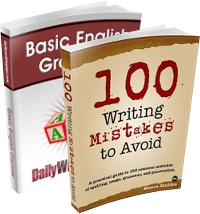 Insist that they speak and write standard English in the context of school and schoolwork. If you have the type of job that makes it appropriate for you to correct the usage of your staff (editor, office manager, etc.) go for it. Provide your employees with a style sheet and insist that they use standard English in writing, and when speaking to clients. Once your children are grown, bite your tongue. Outside the role of a parent, teacher, or employer, don’t take on the responsibility of correcting other people’s English, unless they ask you to. I see nothing wrong with pointing out errors that appear in printed sources. Advertisers, journalists, and others who use the language in a public way should be in command of standard English. Even then, corrective criticism can be offered in a courteous, helpful manner. There’s no need to accompany corrections with sarcasm, ridicule, or ad hominem attacks. When it comes to our grown kinfolk, neighbors, or co-workers, we need to recognize that, like everything else in life, “standard English” has its place. It’s only one of several dialects. It may be the most universally useful, but it is not intrinsically “better” than any other. Informal conversation is not public speaking. Jumping in to correct usage or pronunciation is not only inappropriate, it’s disrespectful. 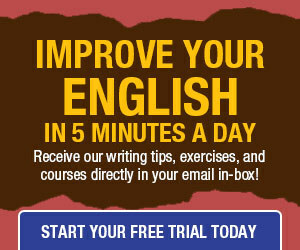 You can promote “standard English” without trying to wipe out every other form. Draw the line where you think it needs to be drawn in your use of the language. Let other speakers and writers make their own choices. Now I can sleep in peace. Thanx for that once again! Instead, we have to be like Piaget and who studied his own children’s behavior and said, “Yup, that’s normal” (because all children act like his kids, even if not under the constant scrutiny of a deviant social researcher–who later denounced his findings, by the way). Exactly so Maeve and Precise Edit. I am, though, close to buying a set of coloured and white adhesive labels to effect charitable relief to those oh so many poor souls afflicted by Misplaced Apostophe Syndrome. One inherent meaning of the word good is active benevolence, taking the initiative to do good to the benefit of others, not oneself. I can call this post a good one because it is the most balanced view, most workable view, and most respectful view I’ve read on the topic. Excellent guidelines. I’m printing it out to keep posted near my desk so that I may refer to it often. Thank you. Maeve, you not only didn’t raise my blood pressure, you lowered my cholesterol! This is one of the most balanced, wise, and practical manifestos on English Language usage that I’ve ever read, and I’ve read A LOT! Your tone is reasonable and calm, and you allow for everyone while giving gentle guidelines for anyone. I will share this with my readers and friends (with attribution), and you have earned my respect and gratitude! “Suggesting that one form of speech is preferable to another, however, can annoy people —>to<— no end. (Even when you do it on a language site.)" I agree with the above poster. When I read “For example, don’t have the characters with college degrees say things like Me and Professor Jones have created an algorithm, or, To celebrate my new tenure, I’ve made reservations for Sally and I at the French restaurant.”, I laughed. “Ignorance is Blitz” is a fantastic collection of excerpts from real college essays (sent to me by a professor who was grateful to have at least one student who can formulate a decent sentence). PS – A great article overall. What a refreshing blend of good sense, good taste and good manners! I’m wishing there were a “share” button I could click to put this up on Facebook. Thanks for the kind words. I’m going to put some of these comments on the wall by my desk. Thanks. Nice article with a lot of good points and advice, especially for inexperienced writers. I am really thankful to the author of this post for making this lovely and informative article live here for us.We really appreciate ur effort.Keep up the good work. I’m not a native speaker, understanding natives and non-native speaker speak English is a real challenge for me. Different people, different countries have different expressions for the same feeling or situations, so people like me end up not fully understand the message being sent.